There are two machines with four designs each. One is right next to the gift shop and the other is on the second level by the cafe. 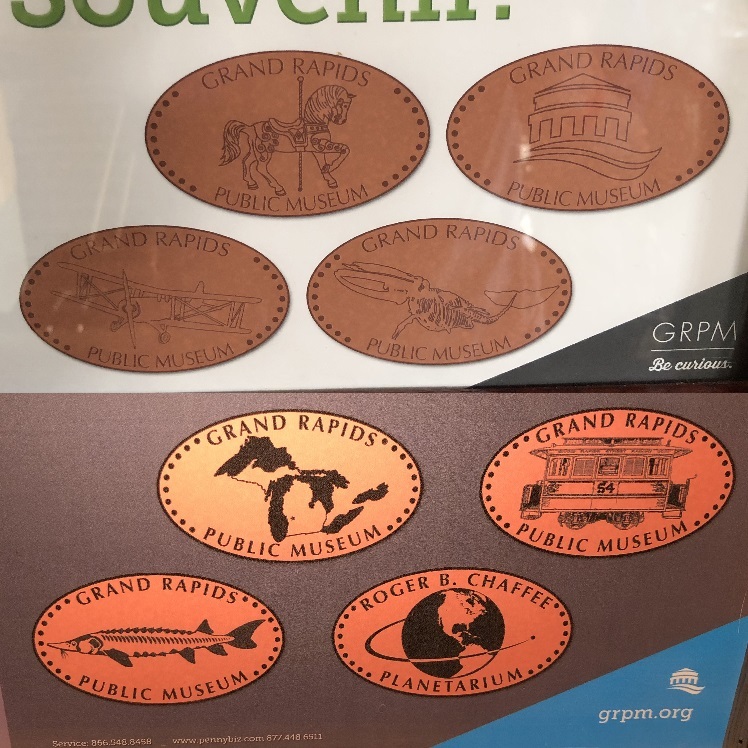 7 of the designs have the text "Grand Rapids Public Museum". The designs with that text are: a carousel hourse, the GRPM logo, a biplane, a whale skeleton, a Great Lakes map, a train car, and a sturgeon. The last design has the text "Roger B. Chaffee Planetarium" and the design is an object orbiting the Earth.